What Was The First Digital Piano? I remember being incredibly jealous when a mate announced to me back in the mists of time that he’d just acquired a Yamaha electric piano and would be gigging it with his band at the weekend. At that time I was very young and I had little concept of model codes. I didn’t know a CP-70 was called a CP-70, but I’d seen them in use and sounding very impressive with professional artists, and that was the vision that came into my mind when I heard the news. Above: Delivering in digital form what people can get from sitting in front of one of these things has been a monstrously difficult task. This is a 1970 Welmar upright acoustic piano. A pain to record, perhaps, and I wouldn't remotely consider transporting it anywhere, but as a personal playing experience it has something electronic instruments still can't duplicate. Come the gig, however, I was elated to discover that this kid didn’t have a real, mechanical-action electric piano like the CP-70, but a much smaller electronic piano with an unconvincing, woolly tone that I thought was barely any better than the simulation on my Yamaha home organ. What he’d actually got was a secondhand CP-20 – a late ’70s pulse analogue preset synthesizer dedicated to piano-type sounds and packaged up with the vague look and feel of a small stage piano. The underpowered PA system they had at the tiny venue was awful and didn’t do the CP-20 any favours, so this, my first encounter with a dedicated electronic piano, did not impress. Expecting any kind of analogue architecture to reproduce the incredibly complex sound of an acoustic piano was futile. An approximation was as much as the technology could handle. Analogue could simulate the basic substance of an acoustic piano tone, but it didn’t have the scope to capture the cut and thrust of the upper harmonics. It was passable when replicating the warmth of a softly played piano, but as soon as you tried to cover the strident and percussive territory of a pianist really digging into the keys, the result was unnatural, and obviously fake. The CP-20 and its 1970s kin actually did a good job under the circumstances, and fed into decent amplification they were pleasant sounding instruments in their own right. But it would be the course of the 1980s, and digital technology, that really brought simulated pianos within touching distance of the genuine article. The keyboards perhaps most widely acknowledged as the first digital pianos were, once again, really synthesizers. The Yamaha YP-40 Clavinova (often cited as the first digital piano) went to market, along with the Yamaha PF series of pianos, from 1983. These instruments employed an FM tone engine similar to that used in the early DX synths, released around the same time. The YP/PF models didn’t, however, have the DXs’ user programming environment and were presented as piano-orientated keyboards, with their FM architecture geared specifically towards piano-family simulation. FM synthesis was really a general purpose system of sound generation, but it was better at creating percussive attack and more elaborate harmonic structures than traditional analogue, which meant it was better equipped for simulating the upper harmonics of acoustic pianos. But whilst Yamaha’s 1983 influx of mass market products are often considered to encompass the first digital pianos, the company had a significantly earlier precedent. 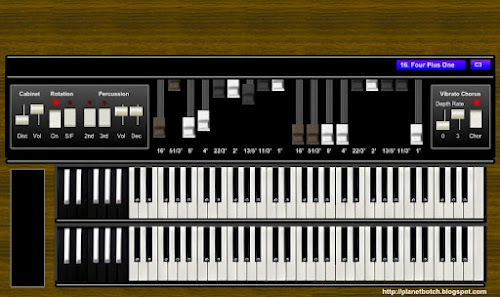 It’s very difficult (for me at least) not to see 1981’s Yamaha GS1 as a digital piano. 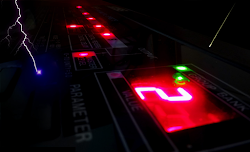 It was eye-wateringly expensive (most people would need a mortgage) and certainly not a mass market instrument, but it looked like a piano, was featured like a piano, offered a range of piano type sounds, and was powered by the very first implementation of FM synthesis, making it unquestionably digital. If you categorised the GS1 as a piano, then it could be regarded as the first digital piano. And 1981 is a lot earlier than many people expect for the birth of the digital piano. 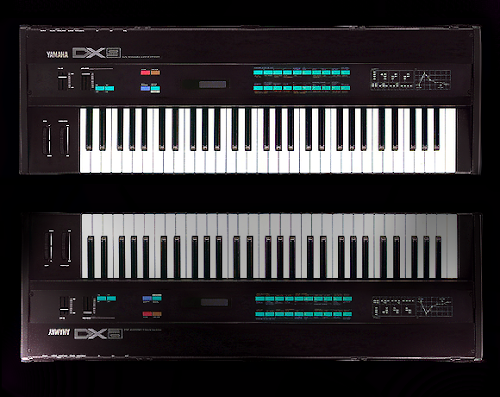 Yamaha maintained their loyalty to FM synthesis in the CLP series of Clavinovas from 1985, but were these really digital pianos, conceptualised as such from the ground up? Was standard FM synthesis really good enough to nail the nuances of a piano’s personality? Well, meanwhile, Kurzweil had been taking a different route to replicating an acoustic piano in a digital keyboard. The Kurzweil K250 was not specifically a piano, despite its full-range, weighted keyboard, and it had the look of a synth. But it did feature what was, upon its introduction in 1984, deemed to be an almost impossibly accurate piano sound. 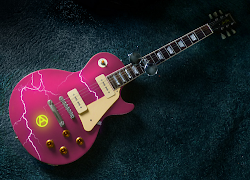 This time, the basis for the simulation was not synthesis, but recording. The K250 merely offered sampled instrument sounds, and in today’s terms it was a lo-fi device built around 10-bit architecture. But in 1984 the route one method of simply recording a high end piano, then assigning it to a keyboard, reproduced tonal characteristics no previous electronic or digital piano had been able to capture. The tonal personality was definitely there, albeit limited in fidelity by the woeful memory capacities and bit rates of the day. But the feel of playing a real piano? No. 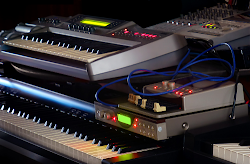 Samples only capture singular states, and the computer technology of the early '80s did not permit more than a bare minimum of samples to be loaded. Therefore, the K250 sounded right, but was devoid of a real piano’s timbral dynamics and response. Above: Expecting something like this to reproduce the effect of a huge weight of wood, metal and acoustic engineering was a tall order in the 1980s, but by the latter part of the decade, these digital circuits had at least managed to cover the role of an acoustic piano. Roland didn’t think the idea of off-the-shelf synthesis, even digital synthesis, was good enough for replicating acoustic pianos, but neither were they convinced by the static nature of straight samples. They therefore set about creating a much more sophisticated system of dynamic modelling. Known as Sturctured Adaptive synthesis, or just SA (or sometimes SAS), Roland’s new concept completely abandoned existing techniques. Instead of taking a synthesis method and saying: “Okay, let’s see if this can replicate a piano…”, they took a piano and said: “Okay, let’s see if we can recreate this with digital technology”. SA synthesis acknowledged that samples were easily the most reliable way to accurately replicate the sound of something as complex as a piano. But it also acknowledged that the piano was a dynamically rich instrument which flew in the face of a sample’s static nature. You could obviously make a recorded sample of a piano sound like a piano, but you couldn’t make it play like one. Roland got round this by fighting complexity with complexity. They started by sampling real, high quality pianos over the range of their keyboards and at different velocities. Then they digitally analysed the samples to determine their harmonic makeup. Then they digitally synthesised the results to create flexible, workable building blocks. Recreating the characteristics of samples with synthesis meant Roland could smooth out all of the transitions which would, on an ordinary sample player or an early S&S (Sample and Synthesis) device be blighted with irregulatities. They could eliminate the note-to-note inconsistencies of multisampling, as well as transitioning the timbral response much more naturally over the velocity range. Roland did heavily zone the keyboard as was the case with a multisampler, so the characteristics of the acoustic piano’s various zones could be reproduced. But importantly, the Roland SA re-synthesis system sounded unlike multisampling, and didn’t respond with the abruptness of multisampling, because the dynamics and timbral changes were much more regularly and gradually controlled. The classic implementation of SA synthesis came in 1986’s Roland RD1000 digital piano. This hugely successful keyboard quickly became the industry standard, and could be found replacing acoustic pianos in recording studios en masse. I was playing sessions when the RD1000 really started to invade the recording studios, and I was absolutely blown away by the way it performed. It was bright, brilliantly defined, and it felt like playing a piano. Not just because of the weighted keys – but because of the way it responded to the nuances of the playing. As the spearhead of the first range of SA-powered pianos, the Roland RD1000 is understandably considered by some to have been the first digital piano that was envisioned from the ground up as a piano. The module version of the RD1000 - Roland's MKS-20, is also frequently mentioned among the milestones in digital piano technology. To clarify on an often asked question: did the Roland RD1000 or MKS-20 contain samples? No. But because the sounds were reconstructed based on the analysis of samples, they can be confused with sample-based sounds. It should perhaps also be mentioned that re-synthesizing the sampled sounds in these Roland instruments (rather than including the samples themselves) circumvented the classic mid '80s problem of qualitative degradation due to limited memory. It's one of the reasons these Rolands sparkle so much. Above: The Rhodes MK-60, reviewed previously on this site, was interesting in that although it was primarily designed to replace an electro-mechanical piano rather than an acoustic, it did also incorporate Roland acoustic emulations courtesy of its use of SA synthesis. So who was the first? Was it Yamaha with their FM pianos that predated all else? Or was an FM piano really just an adapted synth? Were Kurzweil first, by creating the first digital keyboard whose piano sound could not easily be distinguished from the real thing (even if its dynamic response definitely could)? Or were Roland first, by being the first company to replicate not just the sound of a piano, but also its feel to the player – and importantly, being the first company to really think outside the box and invent a piano-focused method of synthesis? My view is that all were valuable contributions to the development of the instrument. I believe Roland were the first to deliver something that could genuinely replace an acoustic piano, but that's largely based on my playing preferences and tastes. Playing some of these 1980s instruments today can induce a few wry smiles. What sounded and felt devastatingly real 25 to 30 years ago can come across as quaintly wide of the mark in the light of what’s currently available. But everything has to start somewhere, and this was where the digital piano started. Buy one of these old ’80s jobs if you want a slice of history, or if you want a bit of a House piano vibe, but don’t be too surprised if you eventually end up using it as a nice, weighted action MIDI controller for a cunningly hidden module.